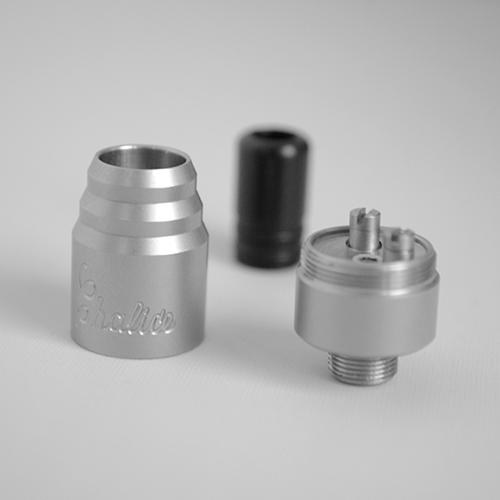 Chalice is the first repairable bottom feeder atomizer in the world. 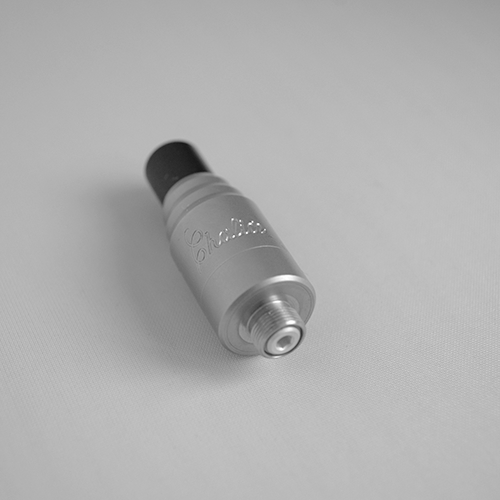 It is the perfect tool to transform simple liquid into a unique, magical-like vaping experience. 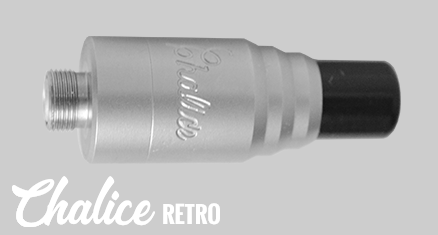 There were several version of it, now we took all the best features and combined them ... thats how the new Chalice Retro was born. 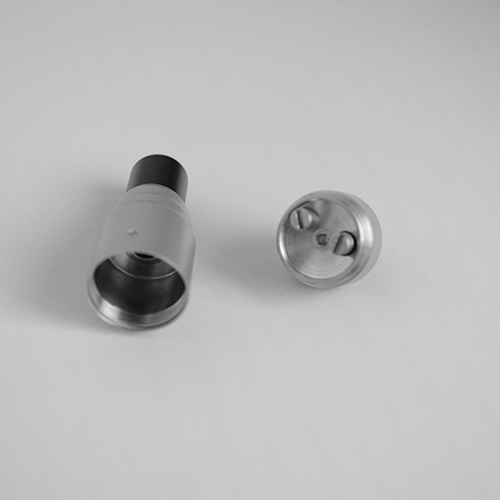 Made out of stainless steel, all its parts are 100% designed and produced in-house. 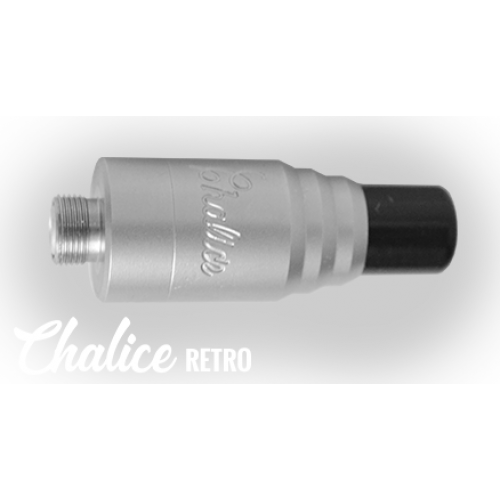 Chalice Retro uses a 510 thread, and will thus fit almost all bottom feeder mods that use a similar 510 thread and it is a MTL atomiser. 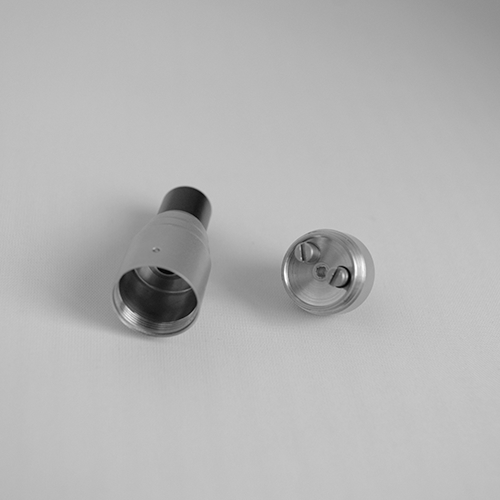 - the wick and coil will not be placed between the post, now the coil will be facing the air hole and you can play with its position the way you like for more vapor, more flavor, TH, etc. Please be advised that, upon shipment, in order to abide all laws and regulations, we must declare the true value of the package we are sending you. Therefore, depending on your country of residence, local customs and other taxes may apply when you receive your package. part, is to offer all our non-EU customers an extra token of appreciation for their purchase. Hence, we have decided to ship all orders via courier service, namely UPS (we are offering free shipping anyway), which means delivery should take place within 5 working days, irrespective of your location. All orders will be processed and shipped within 5 working days from placement. Please be advised that, if you live in a country where the electronic cigarettes are forbidden, you are ordering on your own risk, we can not help you if there will be any issues with you local customs.